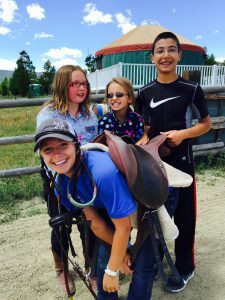 The NSCD offers internships in therapeutic recreation, recreation management, experiential education, sports/non-profit management, development and marketing. College students and developing professionals are encouraged to apply. Interns must currently be enrolled in a University with affiliated coursework; recent graduates or experienced professionals are eligible for the concurrent fieldwork program following the intern application process. The NSCD can customize an internship to meet course requirements. We encourage students of Therapeutic Recreation, Adaptive Physical Education, Recreation Studies, Occupational Therapy, Physical Therapy and related fields to apply! Programming Internships are based around seven days a week/year-round programming and require weekend and evening work. Scroll down for position categories descriptions and further information. 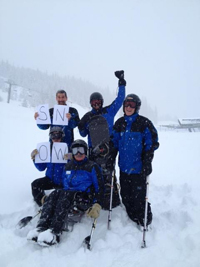 The NSCD is an adaptive recreation and sports organization (not a clinical setting). Program internships are based off programming that operates year-round, based out of Denver, Colorado. 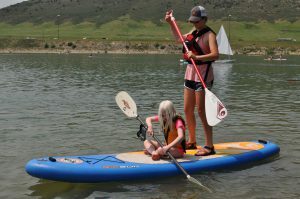 Programming is adventure-based recreation, sports leagues, clinics and camps located in the Denver Metro area. Program internships are supervised by the Program Director. CTRS opportunities may be available in late 2018. Non-CTRS applicants are encouraged to apply. Interns have the opportunity to have a tremendous amount of hands-on interactions with participants. 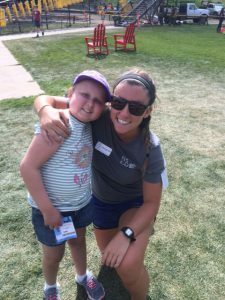 This very active internship is focused on water sports, lakefront days, multi-day camps and sport specific clinics without a lot of downtime. Interns will have the opportunity to review client files, assess, develop treatment plans and programming, train and lead group activities, complete progress notes and make goal-related recommendations. If you are not directly affiliated with a University, follow the same application process. On the top of the application, complete the section to note your status. Location: Denver, CO. Internships are based out of Broncos Stadium at Mile High. Duration: Specific dates can be planned around University requirements. Detailed criteria found on the internship description. Please submit application, applicant questions, resume and University requirements to [email protected]. The NSCD is an adaptive recreation and sports organization (not a clinical setting), similar to a community-based program. Summer Program Internships are overseen by a CTRS and meet the NCTRC guidelines. Non-CTRS applicants are also encouraged to apply. Interns have the opportunity to have a tremendous amount of hands-on interactions with participants. It is a very active internship focused on rafting, resort activities, hiking, camping, and lakefront days without a lot of downtime. We are not a clinical setting. Interns will have the opportunity to review client files, assess, develop treatment plans and programming, train and lead group activities, complete progress notes, and make goal-related recommendations. 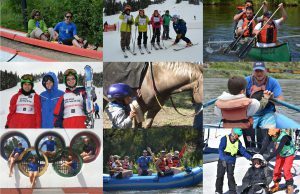 Overview: Programming is adaptive adventure-based: including rafting, canoeing, camping, resort activities and therapeutic horseback riding. The NSCD is an adaptive recreation and sports organization (not a clinical setting), similar to a community-based program. Winter Program Internships are overseen by a CTRS and meet the NCTRC guidelines. Non-CTRS applicants are also encouraged to apply. Interns have the opportunity to have a tremendous amount of hands-on interactions with participants. 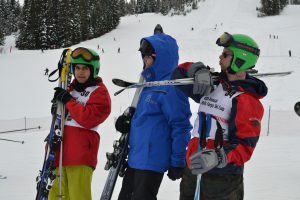 It is a very active internship focused on Adaptive Alpine and Nordic skiing; other opportunities may include Paralympic athlete training, snowshoe, curling, sled hockey and other related winter outdoor activities. This internship has little downtime; we are not a clinical setting. Duration: Late December-April. Specific dates can be planned around University requirements. Duration: May-August, specific dates can be planned around University requirements. Detailed criteria can be found in the internship description. Interns have the opportunity to have a tremendous amount of hands-on interactions with participants. It is a very active internship focused on Adaptive Alpine and Nordic skiing. Other opportunities may include Paralympic athlete training, snowshoe, curling, sled hockey and other related winter outdoor activities. This internship has little downtime; we are not a clinical setting.